Here's a classically designed navy blue short sleeve rashie sporting a flashy green logo and trimmed with green thread. The BLUE PLANET not only looks great, it also acts as a first-rate under layer when worn beneath a wetsuit. 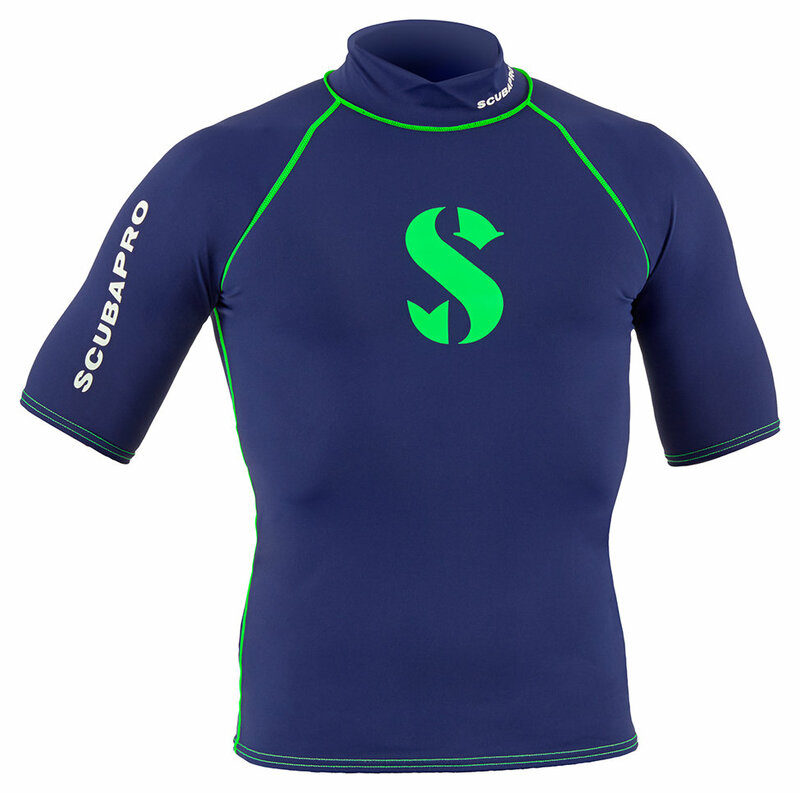 After the dive, the quick-drying and breathable hollow fiber material, with its UV rating of UPF-80, will do a great job of protecting your skin from the sun's rays. In 5 sizes.